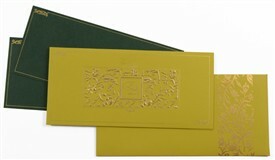 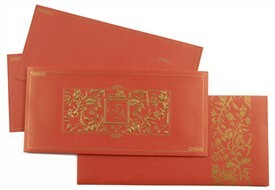 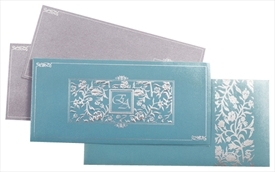 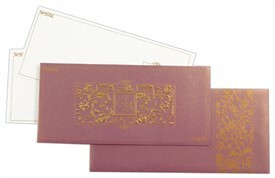 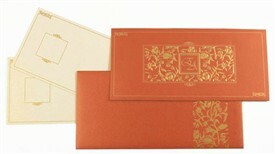 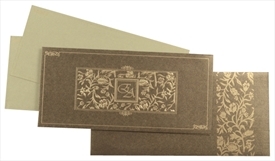 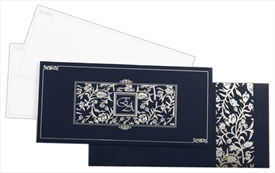 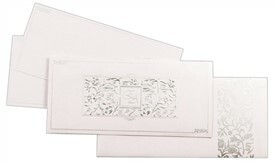 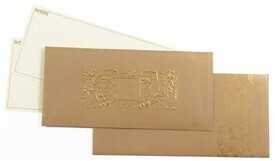 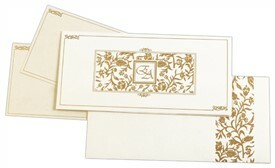 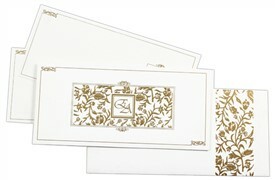 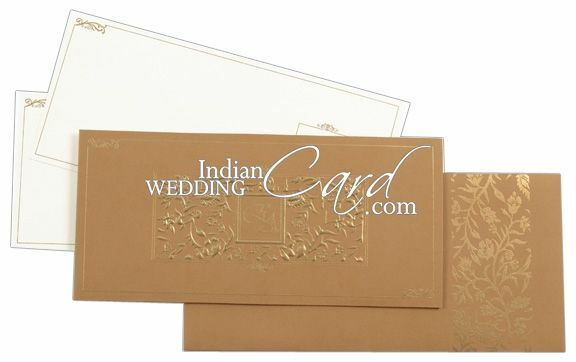 D-5222, Brown Color, Designer Multifaith Invitations. Brown Color (250gsm) for docket style card, envelope and pocket. 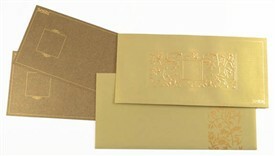 Cream color (250gsm) for 3 inserts.